There is enormous interest in urban design and the regeneration of our urban areas, but current thinking often concentrates on the built form, forgetting the important role that open spaces play. Urban Open Spaces brings together extensive research and practical experience to prove the opportunities and benefits of different types of open space to society and individuals. Focusing on the importance of open spaces in daily urban life, the book is divided into three sections. The first section describes the social, health, environmental and economic benefits and opportunities that open spaces can provide. The second section discusses the different types of urban open spaces that individuals or communities might use on a daily basis: from private gardens to commercial squares and waterway corridors. The final section provides best practice case-studies demonstrating urban spaces being incorporated in new developments and community initiatives. 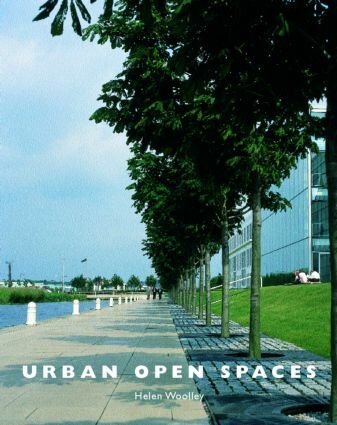 This is the first book to bring together a variety of evidence from different disciplines to outline the benefits and opportunities of urban open spaces in an accessible way. Not just for students and practitioners, this book will be of value for anyone interested in the design, development, regeneration, funding and use of open spaces in urban areas. A new deal for urban open spaces?